Celebrating the work of the Cheltenham Soroptimists this International Women's Day! With International Women's Day coming up on the 8th of March 2019, we thought it would be a great idea to celebrate the wonderful work of women's charities in Cheltenham, and in particular, the work of the Soroptimists! And the Soroptimists were more than happy to share their work, as I was lucky enough to be invited to one of their wonderful social events, and was informed of all the inspirational work they do. On an international level, the Soroptimist's are a global volunteer movement working together to transform the lives of women and girls with nearly 80,000 Members in 124 countries. Not only this, but the charity is the world’s largest women’s service organisation with Consultative Status at the United Nations, working across Great Britain, Ireland and countries in Africa, Asia, the Caribbean and Malta at a local, national and international level to educate, empower and enable opportunities for women and girls. 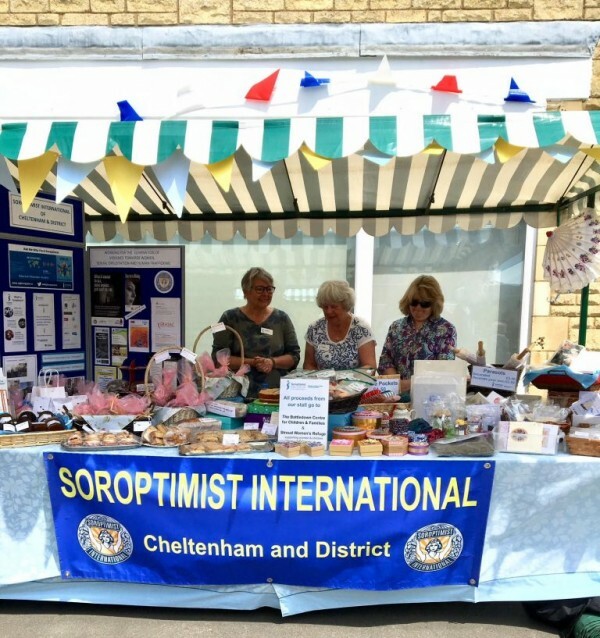 The Cheltenham Soroptimists undertake a range of different activities which aims to mix the social and serious aspects of being a Soroptimist. 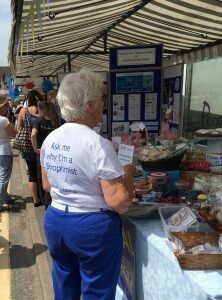 Fundraising for Soroptimist charities (see below) usually involves social events, and meeting socially on other occasions to discuss relevant issues regarding women's rights. At the centre of the club's activities is the Soroptimist commitment to helping women and children both locally and in the wider international community – known in Soroptimism as Project Action. For example, locally the club supports St Vincents and St George’s, Stroud Women’s Refuge, The Nelson Trust (ISIS) Women’s Centre, Gloucester, The Butterfly Garden and Nowans Community Trust through activities and/or fundraising. Some of these great events include the "Cava and Strawberries" event in the month of August 2018. Along with the promised fruit and fizz, the event included a raffle, book sale and plant sale which raised over £200 which got distributed between the Meru Appeal and the club charities for the year. Another great event that helped raise awareness of the charity alongside raising money was the Bishops Cleeve Street Fair 2018. This event far exceeded expectations by raising awareness and inviting new members to join the club alongside covering all costs of holding the stall with £172 on top for the charities of the year. In addition to this, the Soroptimists were invited to look at some partnership working with a group with a project to make reusable sanitary protection! On the 28th of November, the Soroptimists celebrated the 8th year of running the Cheltenham Club with an event to discuss the Elimination of Violence Against Women. With speakers from GDASS, a film called "leaving" by Stroud Beresford Trust and stands from other local organisations and of course tea and coffee, the event was a great success in raising awareness and offering support to those who need it. Another way the Cheltenham Soroptimists offer support to women locally is through the Nelson Trust Women's Centre. Every year around Christmas time the Soroptimists put together around 50 gift boxes full of useful items from sanitary and cleaning products to notebooks and pens which is then donated to the women in the centre, many of whom have absolutely nothing when they first arrive at the Nelson Trust. 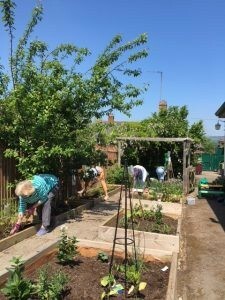 In addition to this, the Cheltenham Soroptimists also actively get involved in alternative local projects such as the Butterfly Garden by donating cakes along with plant pots, cans and VHS tapes for their recycling project. 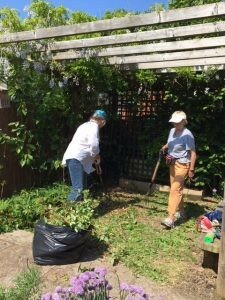 Another of the Soroptimists ongoing projects is the Battledown Garden Project which involves clearing and maintaining the garden area for the Children's Centre. This project has allowed children to get involved with great activities such as planting their own seeds, which they enjoyed so much that the Soroptimists set up bean teepees and got cucumbers and peas in for them too! 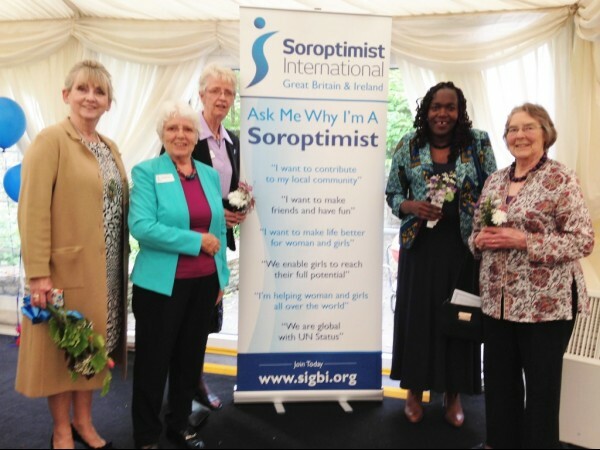 On an international scale, the Cheltenham Soroptimists chosen charity for this year is the Meru Women's Garden Project which supports some of the poorest women-led households in Kenya and is entirely focused on providing opportunities to women and girls who may never otherwise be given the change to earn an income. This change is achieved through improved food production with the donation of seeds and other resources along with educational forums in which women will learn leadership skills to empower women within their communities as well as record keeping and light agricultural training. Through this process of cascade learning and mentoring women and girls will be given the chance to transform their lives through improving health and increasing employment. On an international scale, the Cheltenham Soroptimists also help out WaterAid, Toilet Twinning, Birthing in Gambia, Nepal post-earthquake reconstruction & girls education, See Solar and Cook Solar. The Cheltenham Soroptimists really do get involved in so many great projects both locally and on an international scale, in fact, they get involved in too many to even be able to fit into one article! So if you would like to get involved in some of the great work of the Soroptimists feel free to contact them on this email cheltenhamglos-sorops@yahoo.co.uk or telephone Pat/Catriona on 0751 3002608.